The Hon. 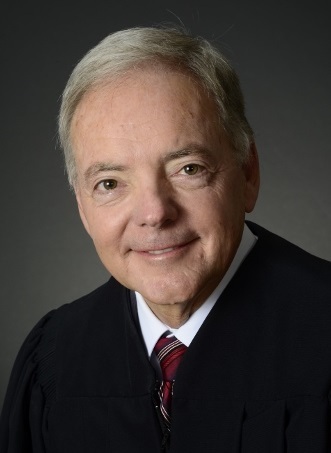 Roy B. Dalton, Jr. (photo), a judge in the U.S. District Court of the Middle District of Florida in Orlando, is the 2019 recipient of the Chief Justice’s Distinguished Federal Judicial Service Award. The award, which recognizes an active or retired federal judge for outstanding and sustained service to the public, especially as it relates to the support of pro bono legal services, will be presented by Chief Justice Charles T. Canady in a Feb. 7 ceremony at the Supreme Court of Florida. Judge Dalton, also known as “Skip,” was handed a herculean task in 2013 by the Bench Bar Fund Committee of the U.S. District Court for the Middle District of Florida: Examine and improve the court’s resources available to litigants who represent themselves. Over the last five years, Dalton has spent countless hours leading the pro se assistance subcommittee, resulting in many improvements in how the court provides unrepresented individuals with improved access to the judicial system. After the successful launch of the self-help resources, Dalton asked the subcommittee to consider a free person-to-person resource. The subcommittee ultimately asked the Jacksonville Chapter of the Federal Bar Association, with support from the Federal Bar Association Chapters in Orlando, Tampa and North Central Florida, and the Southwest Florida Federal Court Bar Association to undertake a pilot project. In 2015, the Jacksonville Division opened the Legal Assistance Program, which is available every Tuesday from 11 a.m. to 1 p.m. just outside the Clerk’s Office intake counter. In 2016, Dalton spearheaded the expansion of the program to the Orlando and Tampa divisions. All were operative in 2017. Dalton, who received his J.D. from the University of Florida Levin College of Law, was appointed to the district court in 2011. This year’s awards ceremony, which also honors individual, circuit, law firm, voluntary bar, young lawyer and state judicial pro bono efforts, is scheduled for Thursday, Feb. 7, at 3:30 p.m. at the Supreme Court of Florida. The ceremony will be streamed live at http://wfsu.org/gavel2gavel as well as on Facebook at www.facebook.com/floridasupremecourt.